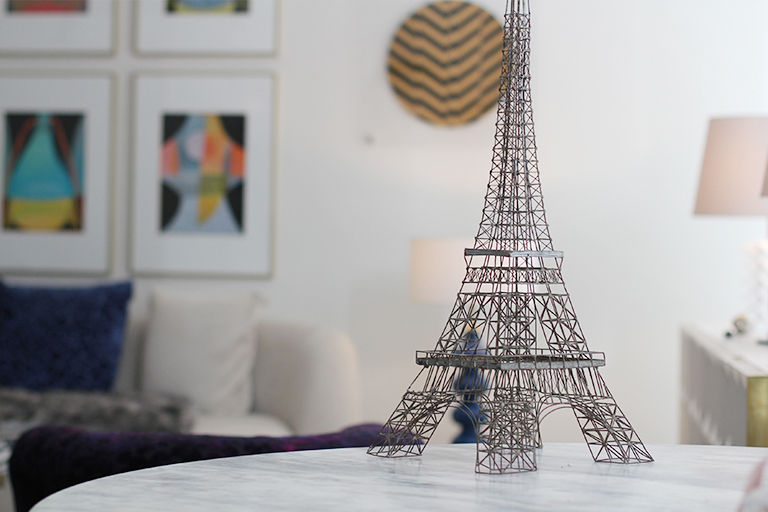 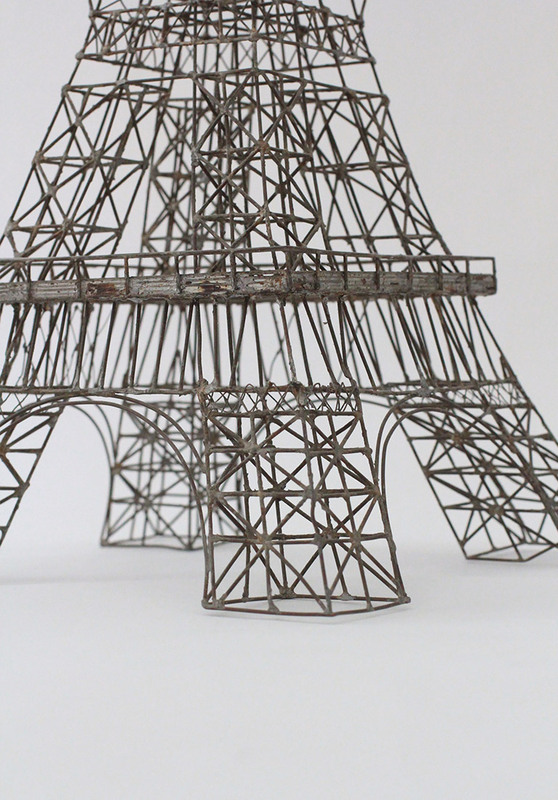 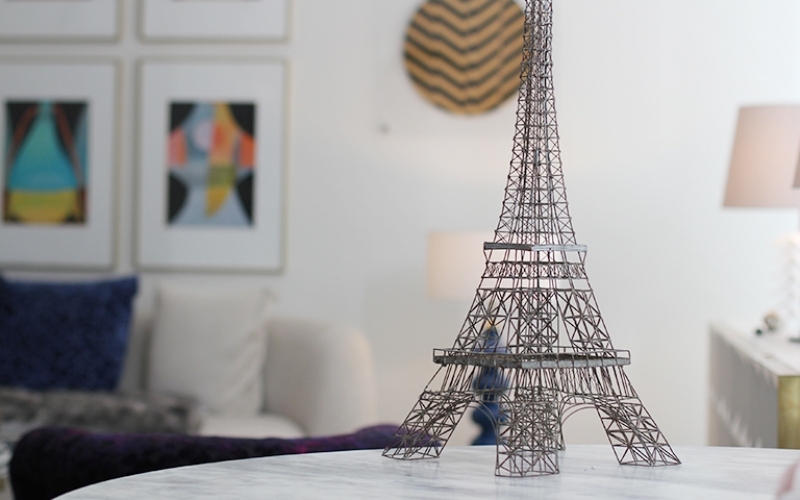 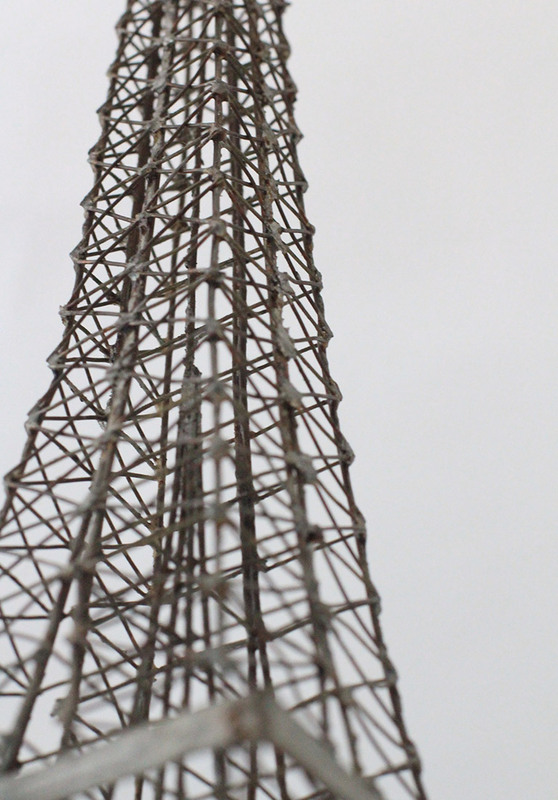 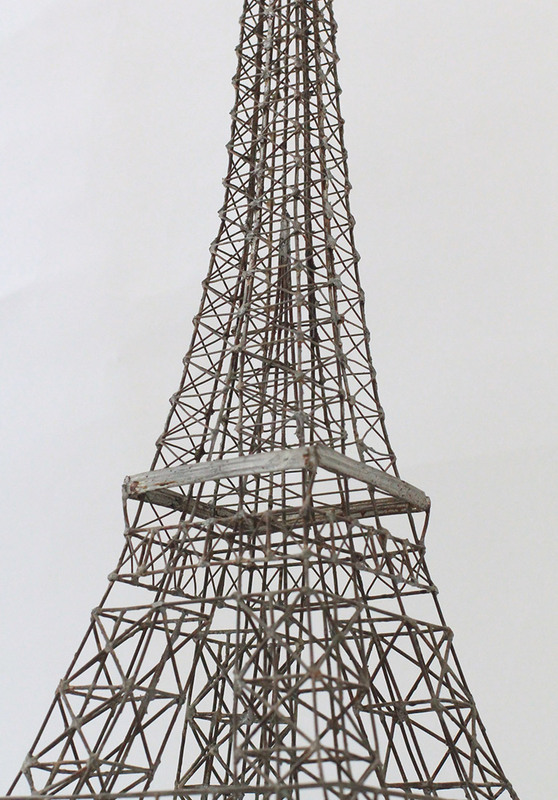 A unique scaled handmade metal wire Eiffel Tower model from the 50s. 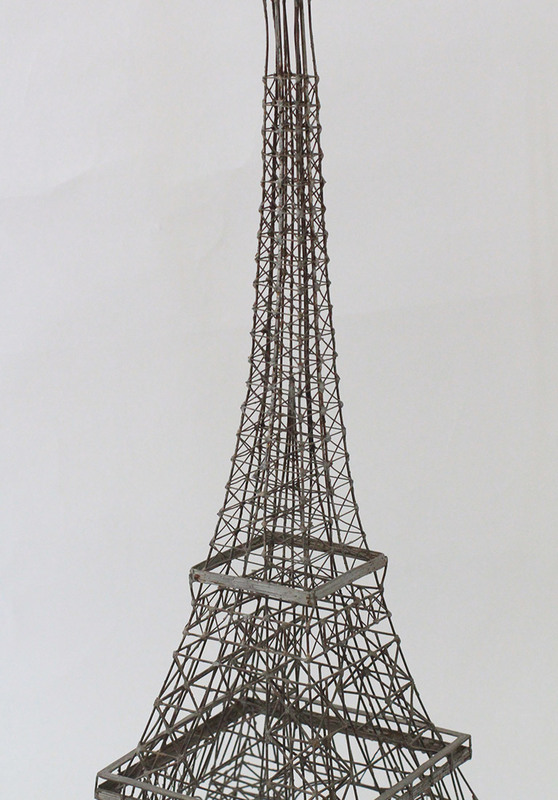 Made with a lot of patience and passion in the mid century by unknown Belgium artist. 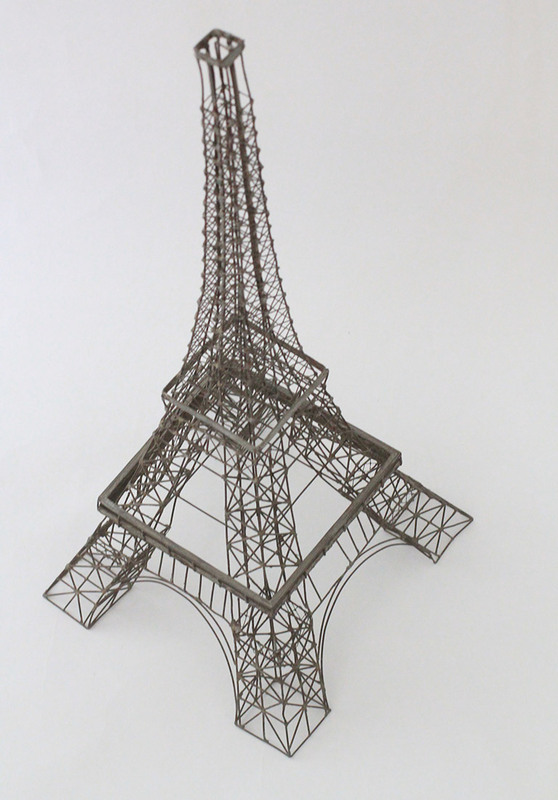 The metal frame is soldered together and is good firm condition. 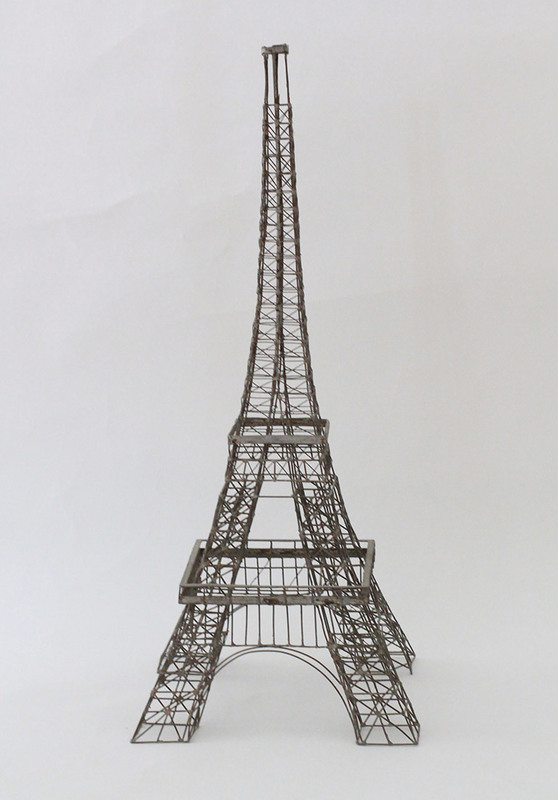 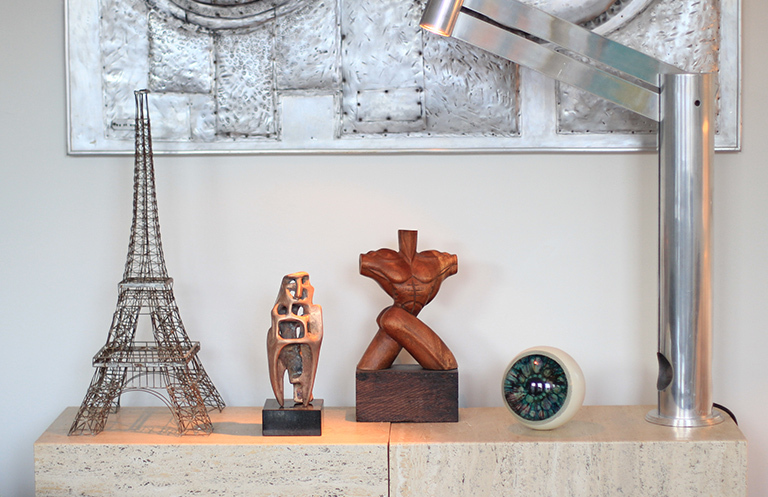 A one of a kind item that would do great in any interior.